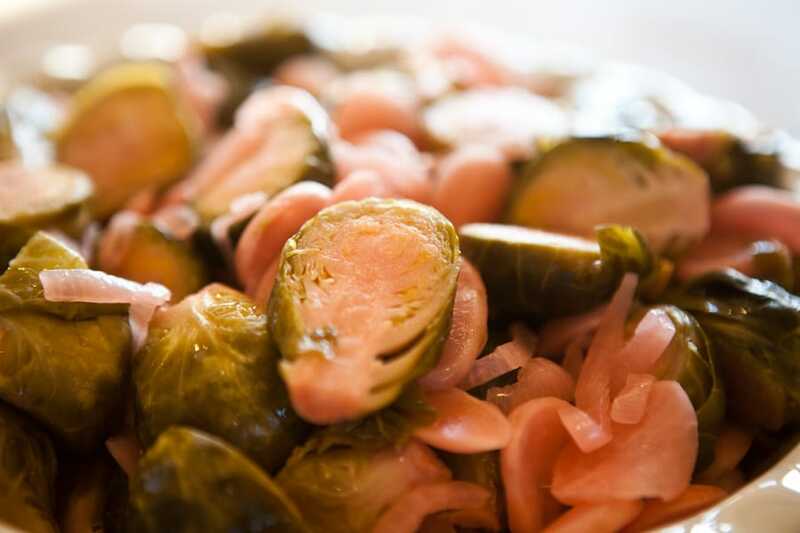 Most of us grew up with a big “ewwwww!” when it came to brussel sprouts. Usually they were boiled to death and could only be resuscitated with slatherings of butter and blizzards of salt. 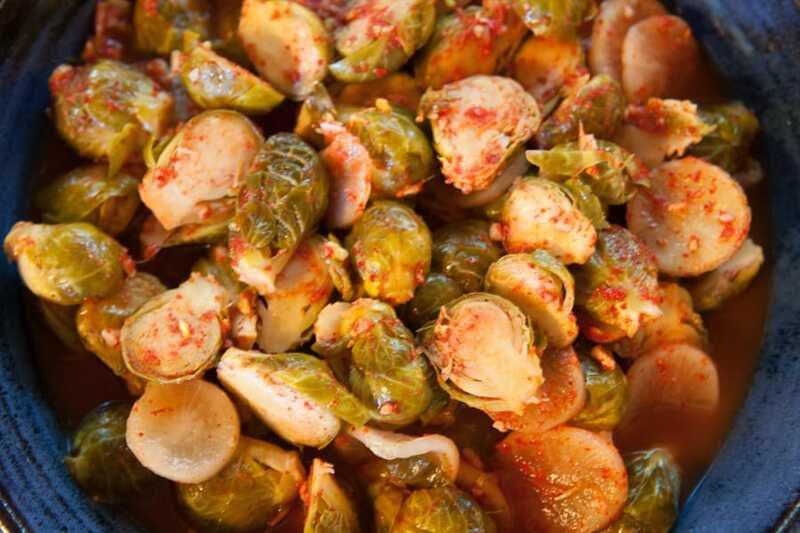 With fermenting, especially in the kimchi style, brussel sprouts can again be a delectable taste treat, and a very healthy one to boot (don’t worry, this one shouldn’t make you “boot”). 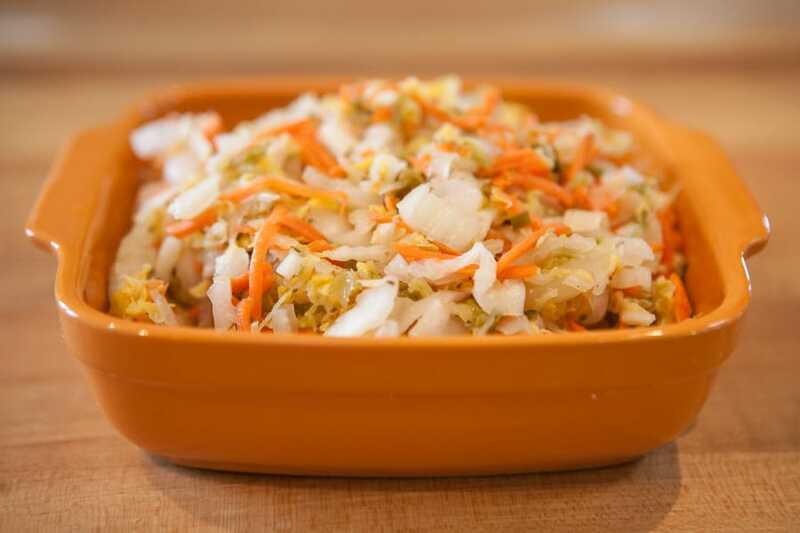 One of the subscribers to this site wrote a while back asking for a recipe for making fermented brussel sprout kimchi. I waited until the brussel sprouts showed up in my local co-op but as soon as they did I bought a few pounds of them. 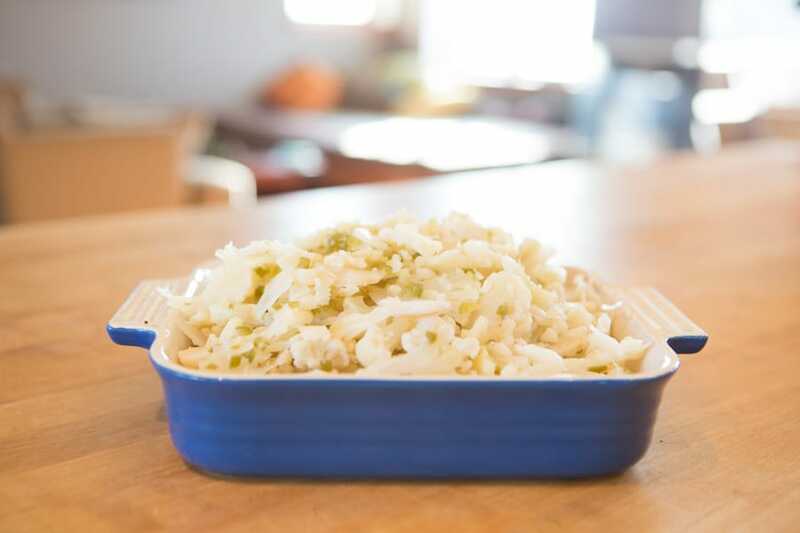 I gave a dear neighbor of mine a taste of this ferment straight from the crock after about 2 weeks and before she left, four times she asked “just one more, OK?” Oooh, this recipe is a good one. A real gourmet treat. Brine of 3T sea salt and 4 cups water. Place the brussel sprouts and daikon into the brine and let it soak for a few hours or overnight if you prefer. Do your best to compress the veggies to get as much of them under the liquid as possible. 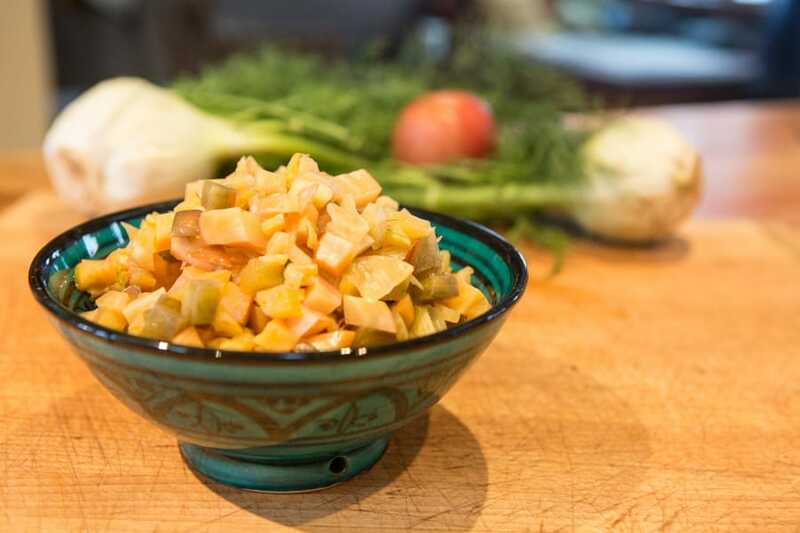 Place everything in a wide-mouth glass jar or other fermenting vessel. Put some pressure on it with your fist to encourage compaction. 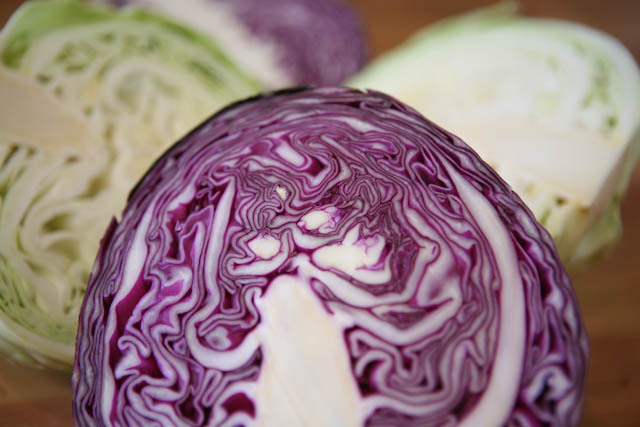 Unlike cabbage ferments there will not be sufficient liquid in the veggies to fully cover the veggies. Add back in some (or perhaps all) of the reserved brine so that under pressure, the brine covers the veggies. Place a weight of some sort on the veggies to keep pressure on them and to encourage the liquid level to rise above the veggies. I’ve started using a clear plastic produce bag with about 1 quart of water in it as a weight. 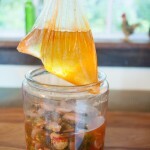 As one reader suggested, it’s a good idea to put brine in the bag rather than simply water given the possibility of the bag breaking and thus diluting the salt content of the ferment It’s important when sealing the bag to leave some looseness in the bag rather than filling it tightly with air. The looseness will allow the bag to settle and conform to the shape of the fermenting vessel, thus making a perfect seal which keeps air out but allows gasses to escape as needed. I’ve also used 1/2 gallon bottles filled with water as a weight too. 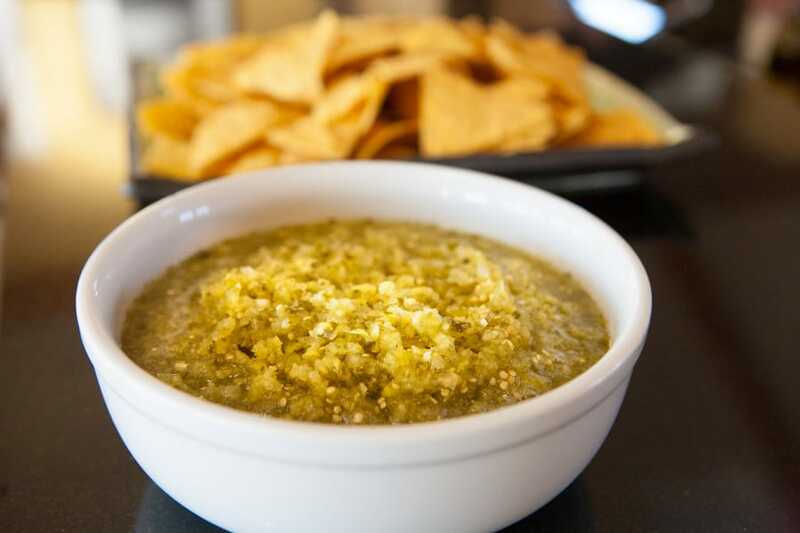 Let it sit for 2-3 weeks tasting regularly as you go to get a feel for how the flavor changes. As part of the brassica family of plants, brussel sprouts contain sulforaphane, a chemical believed to have very strong anticancer properties and indole-3-carbinol, a chemical noted for boosting DNA repair in cells and which appears to block the growth of cancer cells. 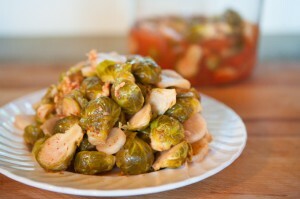 What a treat to be able to get all the heath benefits of raw brussel sprouts with probiotic benefits as well. These morsels tenderize sufficiently in the fermentation process to make them pleasing to the tooth as well at to the taste palate. 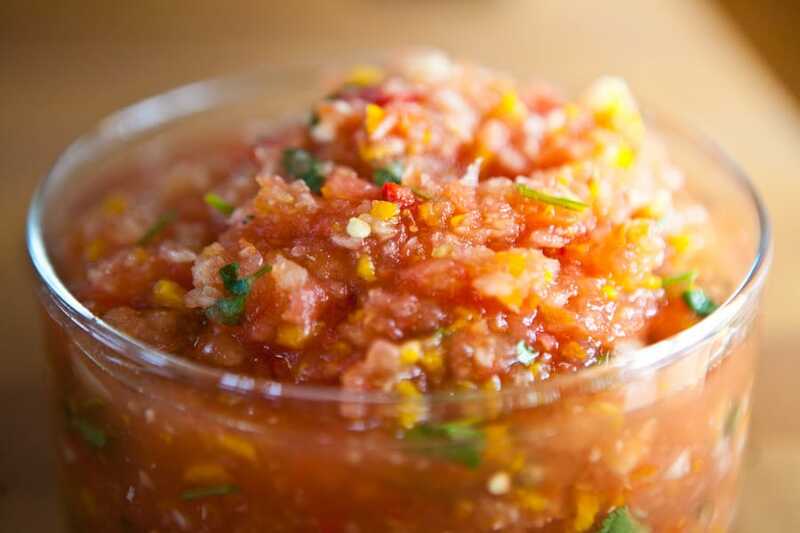 Great as an hors d’oeuvre or side dish, served straight or tossed with toasted sesame seeds or chopped chestnuts. or as a side dish for a main course. 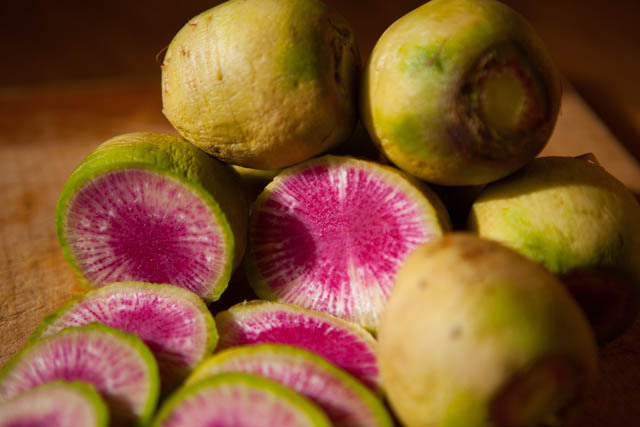 For the holidays, perhaps mound them in the center of some roasted beets. Enjoy. I just finished fermenting some green beans and have transferred them to fridge. Question is, the beans have reabsorbed some of the ferment juice and so a couple protrude above level of juice, will these be okay or will they rot? Should I add more water to fill level to cover beans? I haven’t tasted them yet but will do so after they age for a couple weeks. 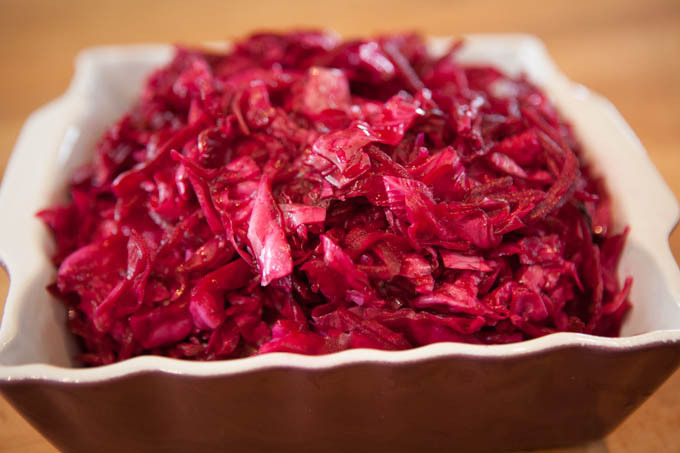 Also, do ALL ferments need to be stored in the fridge or root cellar? Can any particular ones be left a room temp or a bit cooler such as in a closet with outside walls and no heat. Hey Tom. Good questions. I would definitely top off the green beans. Oxygen is generally your enemy in fermenting, so keeping your beans under the brine in this case would be a very good idea. Not sure of your technique, but for things like this, I often use a mason jar and fill it completely to the top with brine and then loosely screw on the top so that gasses and excess liquid can escape. As to storing ferments, I honestly can’t answer that as I’ve been refrigerating mine once done, but I’ll share my thoughts. The point is that fermentation will continue in earnest unless you cool it down significantly at some point, in which case it will simply slow down. 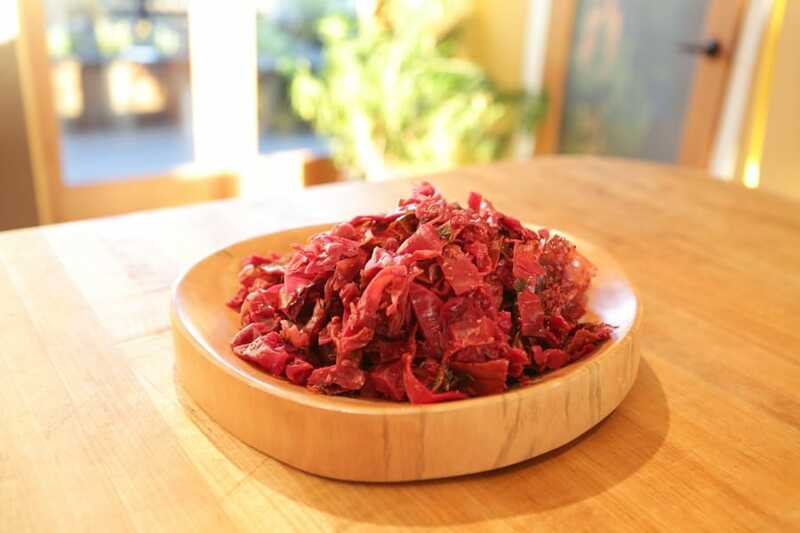 I can’t speak for ALL ferments, but most can go a long time before needing refrigeration. As sugar/starch supplies dwindle in the fermenting item, or as the chemistry gradually changes in the ferment itself, you’ll naturally get a die off of some bacteria, which is fine, but it will cause some discoloration. Most ferments will simply get more and more sour, but I believe the more sour they get, the less they will need refrigeration for preservation as well. Root cellars were built in the days before refrigeration for a good reason as cool temperatures help to preserve foods, and prohibit active fermentation. Let us know what you learn as you continue with your fermentations. Hi Ted. 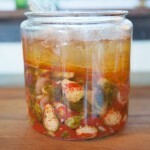 I just finished jarring up my second large batch of kimchi brussels sprouts. I tried something different this time: I shredded the brussels sprouts first, because I didn’t really love the texture (but loved the flavor) of the halved ones. I guess this will be more fine like a sauerkraut, and I’m curious to see how it comes out. Also, wanted to offer up some observations about pepper: two years ago I went to Hungary for a job, and brought back tons of hot hungarian paprika. Since I have so much of it, this is what i’ve been using in the kimchi (and in the cortido recipe of yours that I’ve also followed.) 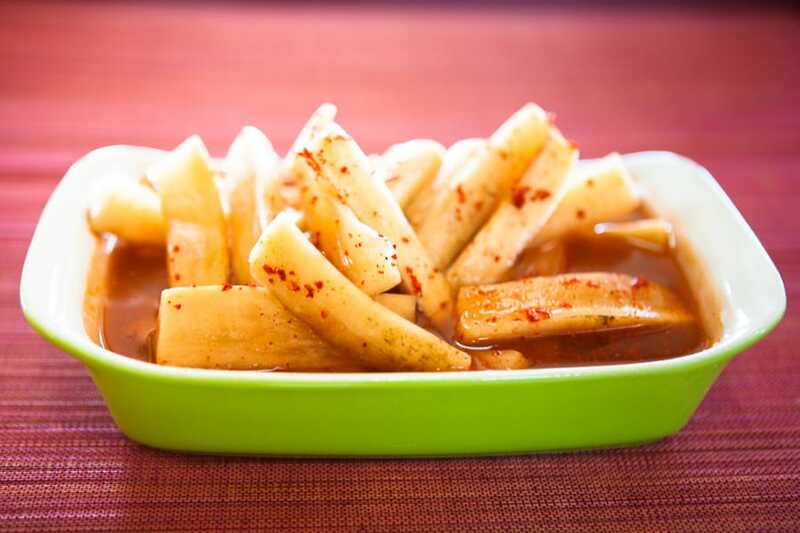 Works great and, with only a slight difference in flavor, is virtually the same as the gochugaru, or Korean chile powder, that most kimchi recipes call for. Slighly finer, perhaps. Anyway, just thought I’d share. Also have some classic dill pickles fermenting away at the moment as well, and your dhosa recipe has become my staple breakfast. I just keep it in the fridge and pour some out as necessary. My question was about the “red pepper” I’m in the UK. I was a bit confused just what you meant and bought a Red Pepper! Confused or what. So you’ve answered my question as I have some Gochugarou from previously making Kimchi. I can now proceed with confidence. Awesome Sam, thanks for the tip on the Hungarian Paprika. 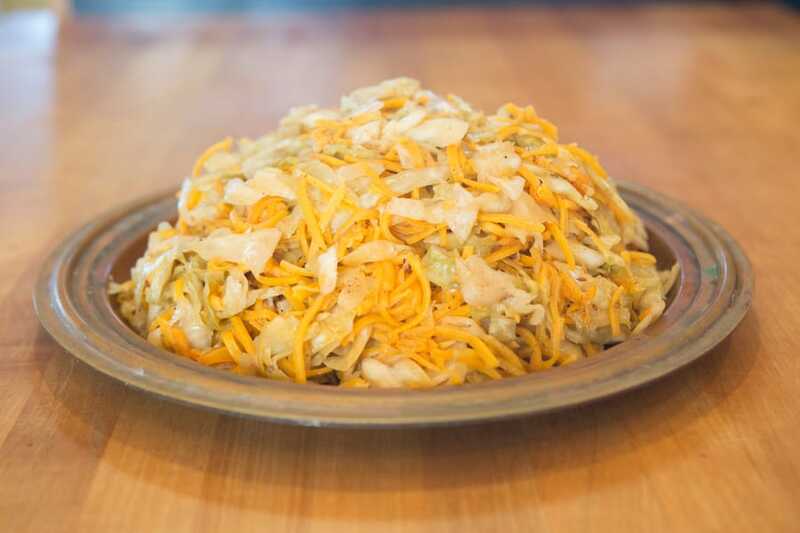 Let us know how the shredded brussel sprouts turn out. What kind of pepper did you use for the “4T Pepper”. Is it chopped red bell pepper, or like pepper flakes? I used Korean Red Pepper flakes. Definitely spicy rather than sweet. 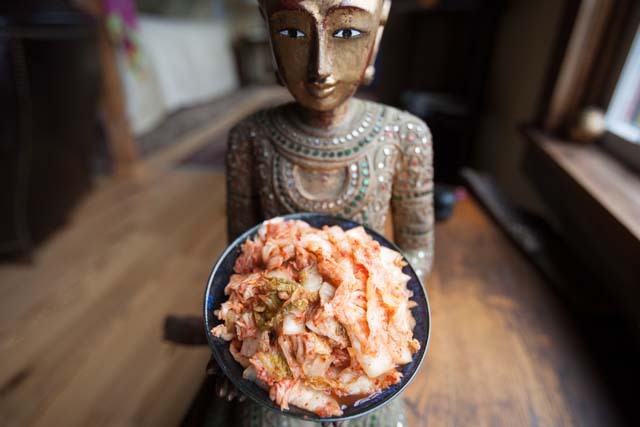 I wrote some about them in this post: https://www.fermentationrecipes.com/traditional-korean-kimchi/602. Good luck! It took 3 months for me to be happy with the ferment. I like really long ferments left in cool rooms with airlocks. I am a professional who loves Ted’s recipes, he is awesome. I am going to make these again and again, just fabulous and so creative. Please add me to your list of subscribers. Love your recipes. 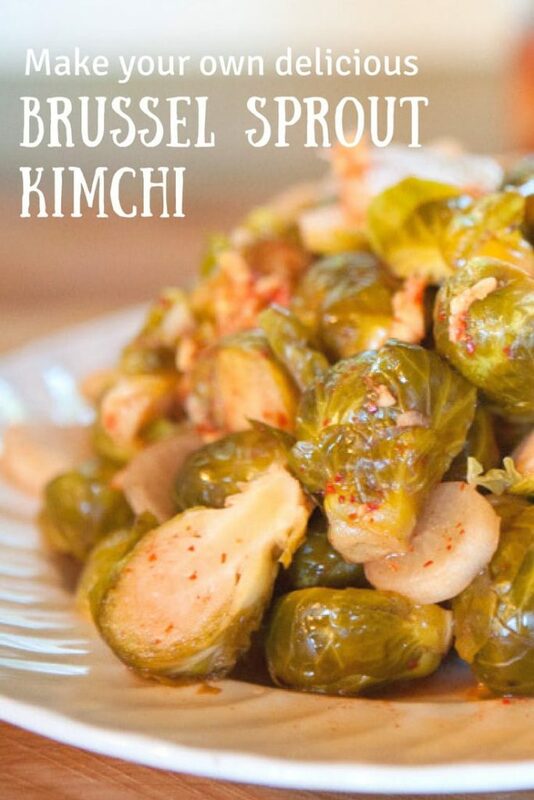 I’m making the brussel sprout kimchi tonight. I added a few sticks of carrots. Hope it turns out. I was just diagnosed with breast cancer and I am trying to eat the natural way. Question? Can I add tumeric to kimchi? Hi Valorie. Thanks for writing. 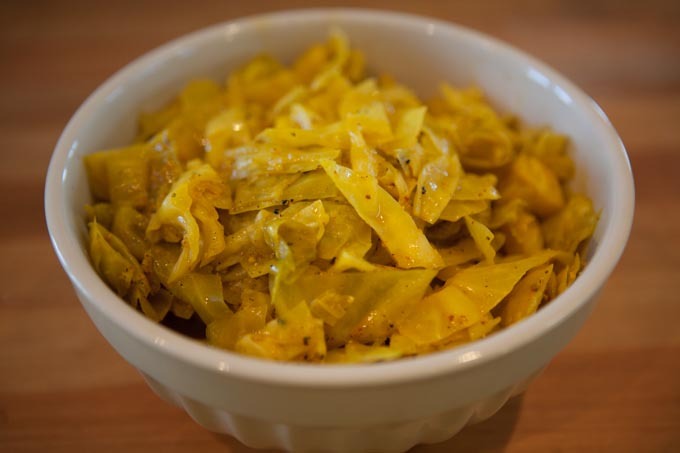 You can definitely add turmeric to kimchi. It will change the color, but I do it often. Get fresh turmeric root or just add turmeric powder. I’ve read many positive things about the efficacy of turmeric in fighting various diseases. Good luck with everything. 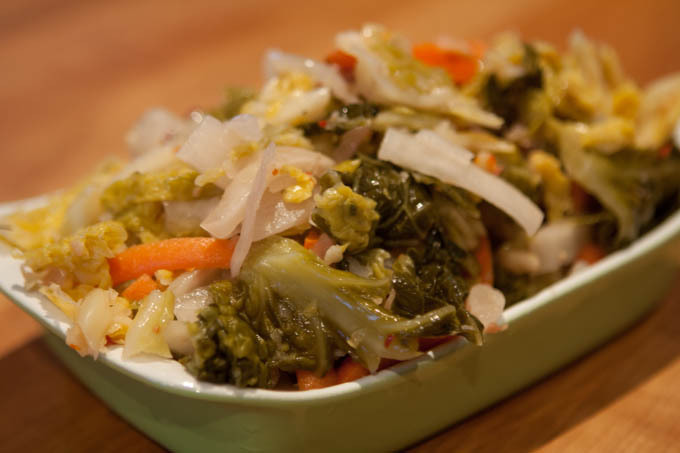 Let us know how your kimchi comes out. I have found that brussel sprouts can be left out of the fridge as they start off fairly hard. And they get better and better! Anything else, though, after a few weeks gets mushy. I haven’t figured out how to stop that without refrigerating. Fermentations keep well when the fermentation process is allowed to continue. Be sure to keep the liquid level above the veggies, keep mold out, and keep it in a cooler place. No guarantees, but mushiness is usually caused by some other invader. Perhaps your salt level isn’t high enough…? I have some homemade whey that I like to use to start the fermentation process. Do you ever use whey in addition to salt? If so, how much would you decrease the amount of salt in this recipe if I added a tablespoon of whey? The short answer is that I don’t ever use whey for fermenting vegetables. I’ll work on a longer post about why, but I find it simply isn’t necessary. Hi Ted…. tried the Shivakraut and it’s awesome…. about to do another batch. Regarding the ‘fish sauce’ in this recipe, I’m just wondering why you include it in your recipe, yet exclude it from the mix? Thanks! Not sure what you are referring to as I don’t have fish sauce in the recipe. I just started another batch of my own Shivakraut after not having made it in a while. I’m using some “black salt” in the mix which I recently brought home from Nepal (very sulfury), and also added some cauliflower. Curious how it will change. My mistake Gary, I thought your comment was on Shivakraut. I put the Fish Sauce in the recipe here as an option since it is commonly found in Korean-style kimchi. As a vegetarian, I prefer to avoid using animal products unless critical, which in this case it is not. Thanks. Great recipe! I have a question regarding fermentation of other sprouted brassicas. We regularly sprout radish, mustard, broccoli, etc. 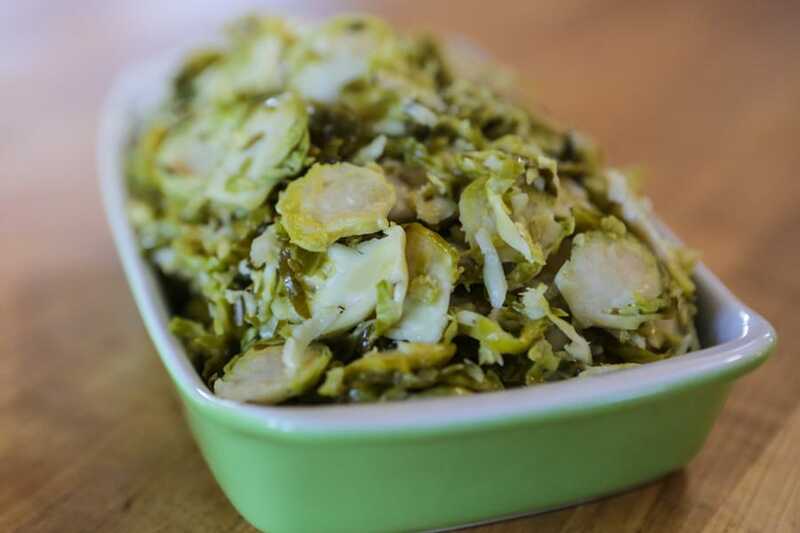 The sprouts are fantastic by themselves, but the shelf life as a fresh ingredient is very short. I am new to home fermenting, but my kraut attempts have come out beautifully and am hoping to not only extend the shelf life of my sprouts but add another dimension to them. Can the same process be used for sprouts? 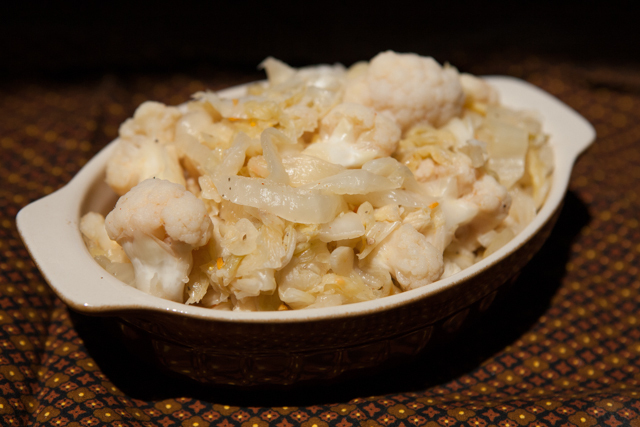 Maybe I would need to add a culture, possibly from my saurkraut? I have had fermented mung beans while traveling abroad, but I am unsure as to whether the Lacto Bacillus on home sprouted brassicas will be sufficient. Thanks for any insight or comments! That’s a great question Seth, and unfortunately it’s one I don’t have an answer for. At first I was confused since your question is placed on the brussel sprouts comment board. It took me a couple of re-readings to recognize that you were talking about fermenting sprouted seeds. 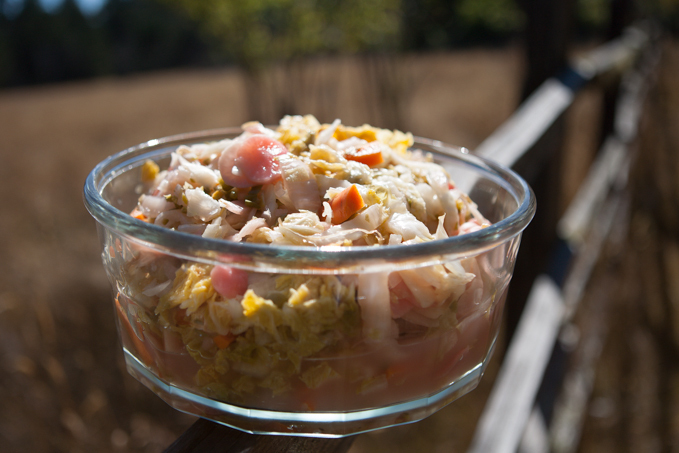 I personally haven’t run across fermented seed sprouts nor have I tried it myself. I honestly don’t see why they wouldn’t work or be delicious. 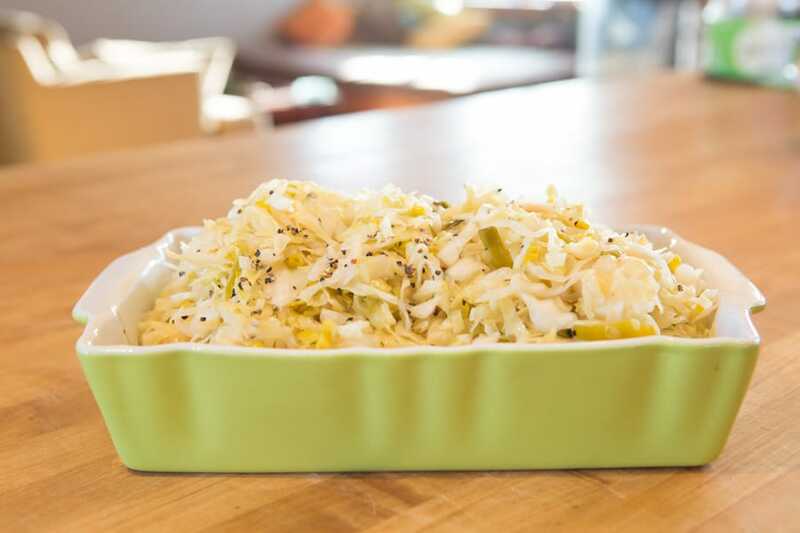 I think you might be right about needing to add a culture, since sprouts are home made from seeds, they perhaps haven’t had time or opportunity to cultivate a bacterial content (no soil contact) so the ferment may not spring to life in earnest. 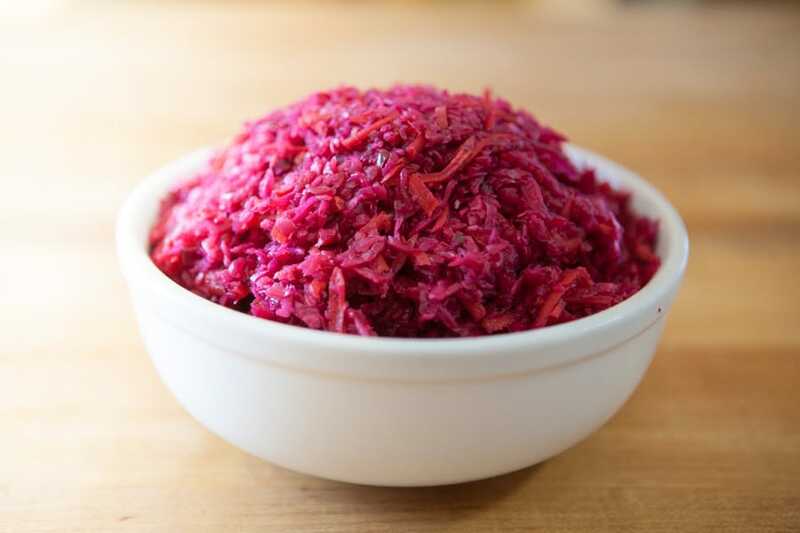 What I’d do if I were to try it, would be to simple throw in a couple of red radishes, or a cabbage leaf or two, just to inncoulate the ferment. 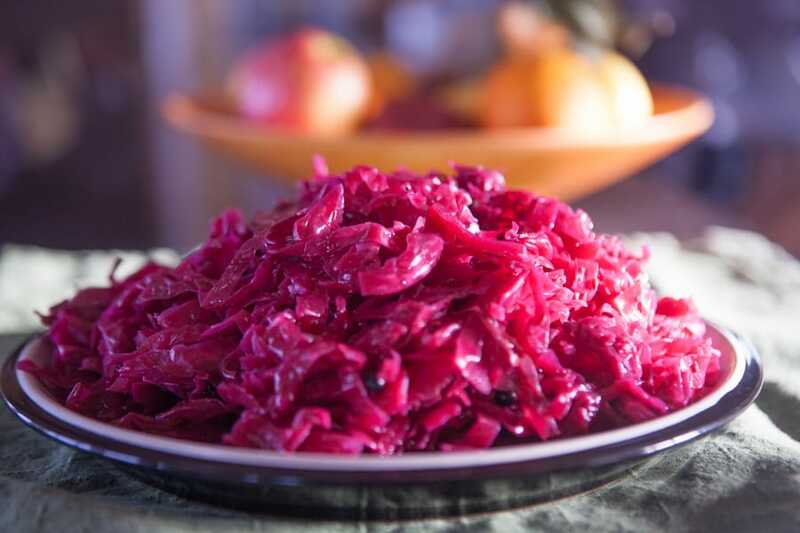 I tend to not add juice from previous sauerkrauts since the bacteria that thrive in fully fermented sauerkraut aren’t ones that would necesarily thrive in the less acidic early stage ferment like a sprout ferment. good luck if you try and please write back if you do. Thanks! I am very happy I have found your site (already shared it with few of my friends)…I have a question: what is the purpose of soaking the brussel sprouts; is it necessary? 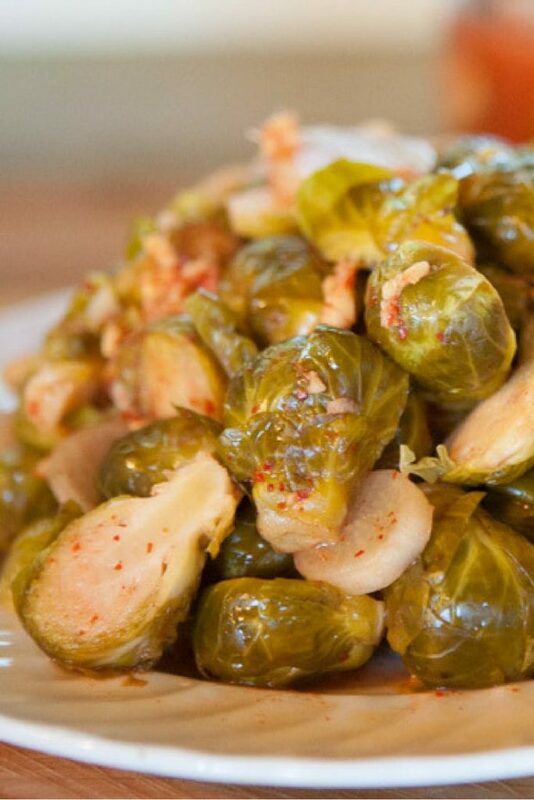 Soaking the brussel sprouts in a brine is a traditional method for making kimchi. Since brussel sprouts won’t compact quite as well under pressure, it’s a little trickier to get the water level to rise above the brussel sprouts if you simply salt them and compress them. Soaking them in brine gets them a little wetter and also allows the salt to still start to break down the cell walls to release more liquid. Mixing the brine also gives you extra liquid to add back in if necessary to cover. Thanks and good luck! Dumb question- when finished fermenting and transferring to smaller containers, does it still need to be in lots of liquid? Can it be without any liquid? Never a dumb question. Thanks for asking. It’s best to keep your ferments in the liquid from the original fermentation. They’ll keep pretty well without being covered, largely because they’ve become more acidic (lower pH), which keeps them relatively immune to problems. Mold and yeasts can grow wherever food and oxygen meet, so to ensure safer longer term storage, keep your ferments submerged or close to it. It turned out every bit as delicious as you said it would!